Want to know what you can do as an Accounting major? Check out this Penn State alum who is an Investment Advisor and Vice President. 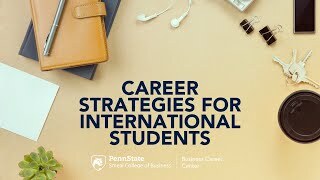 Check out this recording of the Career Strategies for International Students event! Content Copyright © 2019 Smeal College of BusinessPlatform and Design Copyright © 2019 uConnect, Inc.